Mon Aug 13, 2012 @ 08:14PM by laurent Sluglords - Sluglords Forever ! Mon Aug 13, 2012 @ 12:10PM by stogref Sluglords - Sluglords Forever ! Mon Aug 13, 2012 @ 09:45AM by JoliCoeur Sluglords - Sluglords Forever ! Thu Aug 02, 2012 @ 02:02PM by stogref China White - Live Cheap CD ! Wed Aug 01, 2012 @ 01:57PM by laurent China White - Live Cheap CD ! Wed Aug 01, 2012 @ 12:26PM by stogref China White - Live Cheap CD ! Tue Jul 31, 2012 @ 11:00PM by laurent China White - Live Cheap CD ! Tue Jul 31, 2012 @ 10:54PM by laurent China White - Live Cheap CD ! Sun Jul 29, 2012 @ 05:18PM by Kuken China White - Live Cheap CD ! Fri Jul 27, 2012 @ 09:17AM by stogref China White - Addiction ! Wed Jul 25, 2012 @ 08:40PM by Kuken China White - Addiction ! Wed Jul 25, 2012 @ 03:36PM by laurent China White - Addiction ! Tue Jul 24, 2012 @ 10:59AM by stogref China White - Addiction ! Mon Jul 23, 2012 @ 02:27PM by Kuken China White - Addiction ! Sun Jul 22, 2012 @ 12:48PM by stogref The MINUTEMEN Legacy ! Thu Jul 19, 2012 @ 05:56PM by laurent Appliances-SFB - SFB ! Thu Jul 19, 2012 @ 10:42AM by sto Appliances-SFB - SFB ! Thu Jul 19, 2012 @ 10:25AM by sto The MINUTEMEN Legacy ! Thu Jul 19, 2012 @ 10:06AM by JoliCoeur The MINUTEMEN Legacy ! Tue Jul 17, 2012 @ 03:37PM by sto Various Artists - Complete Death ! Tue Jul 17, 2012 @ 09:50AM by Anonymous Various Artists - Complete Death ! Sat Jul 14, 2012 @ 10:20AM by stogref The MINUTEMEN Legacy ! Fri Jul 13, 2012 @ 10:57AM by Jolicoeur The MINUTEMEN Legacy ! Wed Jul 11, 2012 @ 07:09PM by sto M.D.C. - Featuring Pig Champion ! Wed Jul 11, 2012 @ 01:59PM by laurent M.D.C. - Featuring Pig Champion ! Tue Jul 10, 2012 @ 10:54AM by stogref M.D.C. - Featuring Pig Champion ! Tue Jul 10, 2012 @ 10:37AM by JoliCoeur M.D.C. - Featuring Pig Champion ! Mon Jul 09, 2012 @ 09:35AM by sto Various Artists - Complete Death ! Mon Jul 09, 2012 @ 08:21AM by JoliCoeur Various Artists - Complete Death ! Sun Jul 08, 2012 @ 10:17AM by stogref M.D.C. - Featuring Pig Champion ! Mon Jul 02, 2012 @ 05:38PM by sto Victims Family - 4 Great Thrash Songs ! 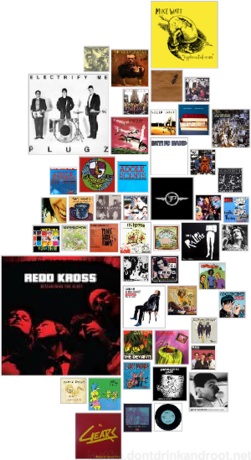 Mon Jul 02, 2012 @ 01:01PM by stogref Redd Kross - Neurotica ! Mon Jul 02, 2012 @ 12:14PM by sto Saturn's Flea Collar - Monosyllabic ! 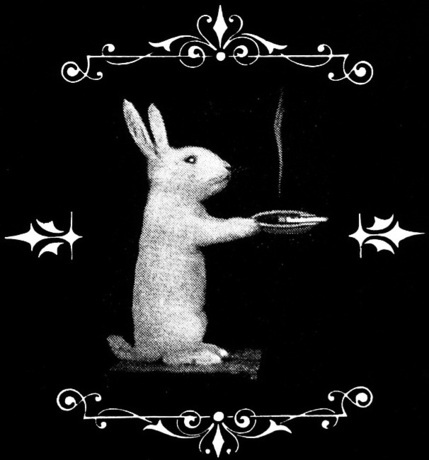 Sun Jul 01, 2012 @ 11:47PM by Anonymous Redd Kross - Neurotica ! Sun Jul 01, 2012 @ 11:42PM by Anonymous Redd Kross - Neurotica ! Sun Jul 01, 2012 @ 10:37PM by laurent Saturn's Flea Collar - Monosyllabic ! Sun Jul 01, 2012 @ 05:42PM by sto Saturn's Flea Collar - Monosyllabic ! Sat Jun 30, 2012 @ 09:55AM by sto Live From the Masque, Vol. 1: Forming ! Sat Jun 30, 2012 @ 08:50AM by sto Appliances-SFB - SFB ! Fri Jun 29, 2012 @ 03:46PM by sto Appliances-SFB - Green Door / Them ! Thu Jun 28, 2012 @ 10:18PM by Jolicoeur Appliances-SFB - Green Door / Them ! Thu Jun 28, 2012 @ 10:10PM by Jolicoeur Live From the Masque, Vol. 1: Forming ! Thu Jun 28, 2012 @ 06:59PM by laurent Live From the Masque, Vol. 1: Forming ! Thu Jun 28, 2012 @ 06:31PM by laurent Appliances-SFB - SFB ! Wed Jun 27, 2012 @ 02:35PM by sto Live From the Masque, Vol. 1: Forming ! Wed Jun 27, 2012 @ 07:33AM by Zolicoeur Live From the Masque, Vol. 1: Forming ! Wed May 23, 2012 @ 03:35AM by Juri Flipper - Love ! Tue May 01, 2012 @ 05:00PM by stogref Satans Cheerleaders - Hell Is For Hippies! Mon Apr 30, 2012 @ 10:14PM by zolicoeur Satans Cheerleaders - Hell Is For Hippies!